We were so lucky to work with amazing women on a photoshoot recently - Allison from Studio127 Photography, Kelli frombeautimarkedbykelli, Shannon from Goode Hair, and our model, Alisha from Heyman Talent. Although the air was cold, the sun was shining and we had a blast! St. Joseph's Cathedral in downtown Columbus is a beautiful place for a wedding! 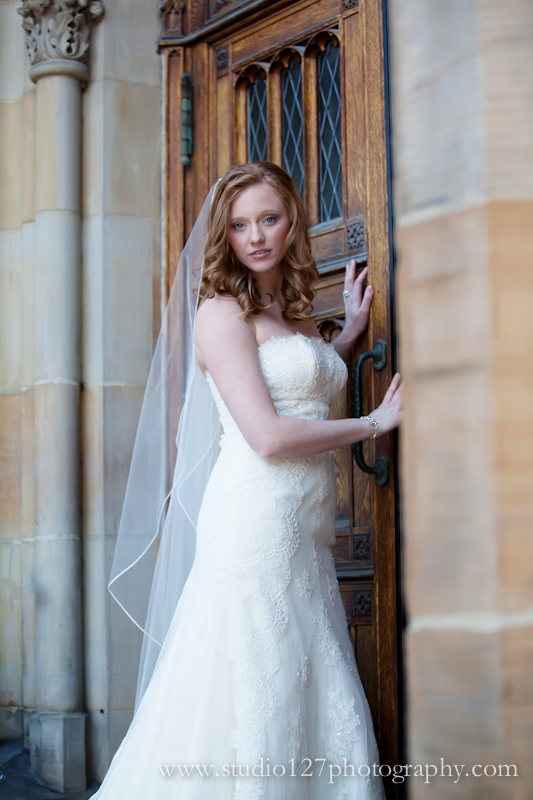 Just check out these fantastic photos - we even got Kelli in her favorite dress for some wonderful shots!